Our thirst for design has led us this time at Ireland. We are proud to present you Trevor Vaugh and Nic Shannon, the designers behind vaughshannon studio that have left us amazed with their inspired creations. 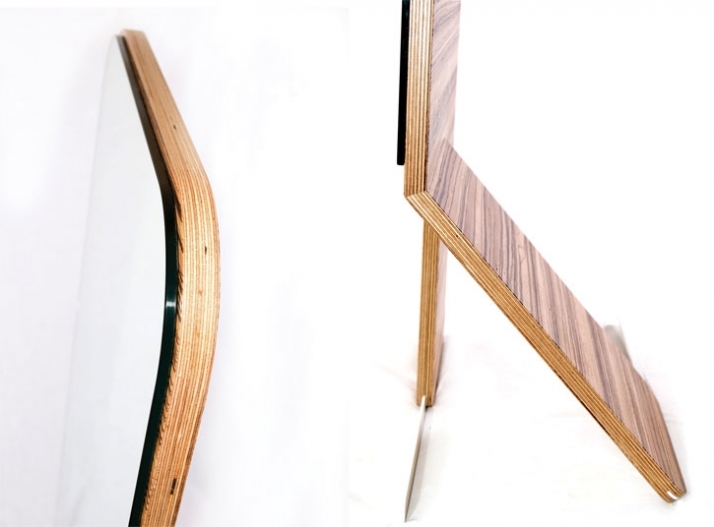 Although their studio was established in Dublin in 2007, they have a very interesting trajectory and their products, since their acclaimed debut at Tent London, are featured in numerous publications worldwide. They say that clarity, functionality and wit are the core guiding principles behind every vaughshannon work. Their goal is to create functional products that offer more than just pleasing aesthetics; they must integrate into their new owner's lifestyle and environment seamlessly, whilst at the same time adding a subtle level of personality, wit and intrigue. And we couldn’t agree more! We invite you to enjoy the very stimulating interview that Trevor and Nic gave us exclusively for our readers, offering us the chance to have a better idea about the way they perceive life and design. Don’t be surprised to hear more and more about them in the future! The Happy Lamp has been designed to offer a more convenient and ergonomic location for the lighting controls. The final design, which was led purely by function, takes on an anthropomorphic form, which in turn creates his charming personality. Well, Trevor and Nick, let’s take it from the beginning. How did you meet each other and how did you decide to work together? (Trevor) We met while studying at the Institute of Technology in Carlow, Ireland where we studied Industrial Design together for four years. 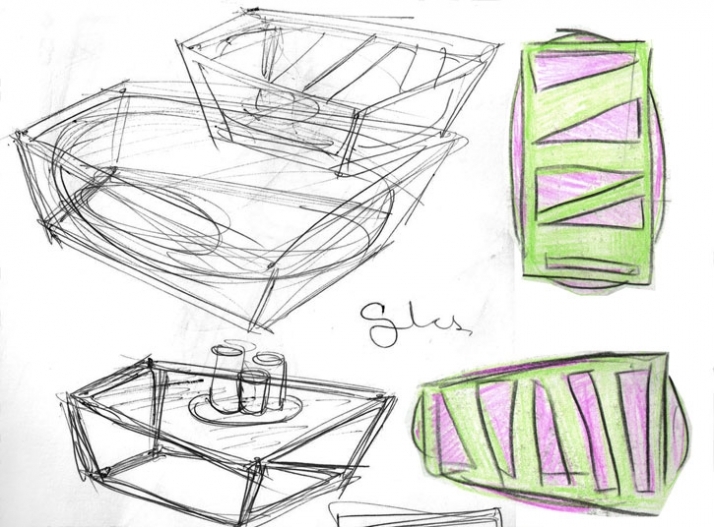 It wasn’t until our fourth year that we realised we had a lot of similar opinions and thoughts on design, and it was then that we decided we should collaborate in some way when we finished our studies. After graduating we both began working in full-time design jobs in Dublin. In 2007 we decided to formally launch VaughShannon, which we did during the London Design Festival. We both have very different skill sets, interests and tastes and I think this is the reason we work well together. Too many business partners think the same and often this means that you lose out on the advantages of having two partners. Madra” is a magazine holder/side table. Inspired by man’s best friend, Madra offers company and loyalty as he sits by your side ready to help..
You form a company with an extraordinary growing success. In just three years’ time you have ended up showing your pieces at Milan and some of the most important magazines in the world feature your work. We are curious to know the secret of your success. (Trevor) We set out with the aim of designing and making products that we feel passionate about and making a living from doing so. As we are both working full-time in our “bill paying” jobs, all our work for VaughShannon takes place in the evenings and at weekends. What’s extraordinary is that one of us hasn’t collapsed from exhaustion! I don’t think there is a secret and I definitely don’t believe we have seen success yet. What we do have is passion; passion for design and the design industry. This is vital. When you believe in what you’re doing it makes it easier to invest the necessary time, energy and money and the rewards greater. (Nic) Yes, I think passion really has been the driving force behind everything we have done to date; passion on many different levels. We get excited over even the smallest random components; not because of what they are, but what they allow us to achieve. We had to take the chance to put our ideas out there and since doing so we haven’t looked back. The important thing is to keep looking forward with a positive frame of mind. The Branch table was designed to spark curiosity as to how it balances. Inspired by a small forest sapling, the Branch table can be used with most textured rugs or indeed on its own. While used with a rug the table appears to be growing form the ground. All of your products seem to have a great sense of humor that, according to my point of view, has a lot to do with the fact that you adore anthropomorphic details. Some of your creations seem that they are ready to walk! Is it a homenage to a lost infancy or a reminder that life can be funnier and simpler? (Trevor) It’s an interesting question. I often push the anthropomorphic side, yes, and while I haven’t quite lost infancy, perhaps I never quite let go of it. I was born in a leap year and am still only six and three quarters or something silly! So maybe that has something to do with it. We prefer to say that our products have personality as opposed to humour, as the former encompasses many more emotions, which is very important to us. I personally think it is an essential attribute of a product. Obviously not every product can, or should, have personality but when possible; I really think it adds a more appealing dimension. (Nic) We can intentionally surround ourselves with funnier and simpler products. As designers I think it’s important to understand how to utilize anthropomorphic form as a tool to facilitate design, but it’s also important to be able to deviate from this language, depending on the producer, market and market for which the product is intended. There is a child in all of us; some people just express it in different ways. It seems that functionality is very important to you. Apart from functionality and good design, is there any secret dimension that makes a product really essential? (Trevor) Well first of all I don’t think we can have good design without function; the two simply cannot exist without each other. When I talk about function I don’t just refer to the physical act of doing something useful; it can be an aesthetic function, for example the function of a playful form could be to aid and enhance the bonding process between the owner and the product. Our Madra magazine rack takes the form of a small dog. After spending time bonding with him could you ever imagine discarding him?! The same goes for our walking mirror. After years of building a relationship with this product I really believe a bond can be formed, a bond similar to that formed between living creatures. (Nic) There aren’t too many things in life that can be classed as essential; all you really need is food, shelter and love. We are in the business designing and our goal is to survive as a company and to make desirable objects that achieve this end. If we can create an object that is desirable and helpful, and in some way makes you smile, question or daydream we have done our job. A money box for adults, Crunch, with its small footprint and strong arms can lean or hang happily anywhere around the home where there are coins to be saved! His positive face is designed to enhance the act of saving, while the cork stopper allows you to save by the handful! Use his arms as a handy hook while hung on the wall. Tip him over to cash in. You have collaborated with different galleries. What do you think about the latest trend of design art? (Trevor) If a Designer can make an object for which someone is prepared to pay a lot of money I think they deserve credit. It’s a very difficult and competitive industry. Good collectors/patrons are shrewd and are not going to invest in something for which they don’t feel passion for. Bad collectors probably deserve to lose if they invest carelessly in substandard hype. I believe that when an object is designed through genuine experimentation and passion for the material/process, everyone’s a winner. The Designer has the chance to explore, develop and exercise their creative impulses without the restrictions imposed by mass production, the collector gets a truly worthwhile piece of design and the rest of us benefit from the Designer’s thought process. We don’t participate in the design art game; we value function and affordability too much. We do however have a new product that will be our humorous take on design art and which we hope to launch at Tent London in September. Cityscape /Dublin // The first of a number of cityscapes to be loosely represented as a coffee table. The cityscape offers convenient storage compartments which help to hide clutter. 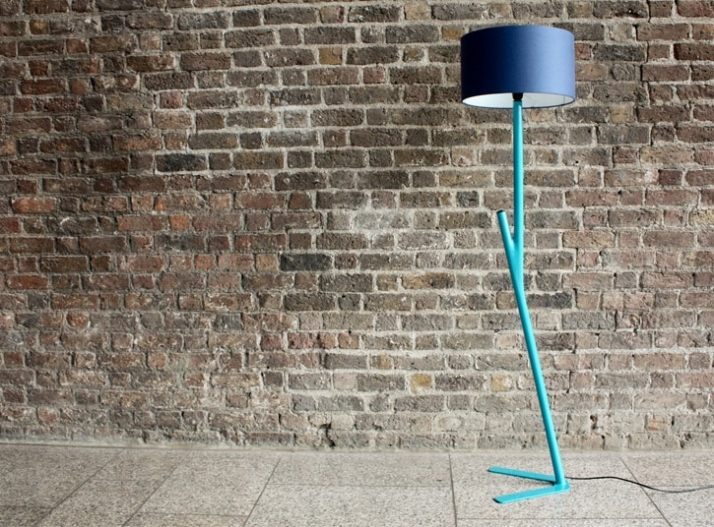 Do you believe that there is an Irish design scene? If so, what are its characteristics? (Trevor) I don’t believe Irish design has any specific aesthetic signature or differentiating characteristic. I don’t know if it’s even possible to have a national design characteristic anymore with international communications blurring the borders of design; in most cases it’s impossible to tell from where any product originates. Ireland has never really had an industrial manufacturing background, instead becoming more dependent on smaller cottage industries and craft. Even today at all levels confusion persists regarding the difference between craft design. I think this, among other factors, is responsible for the lack of a clear and unified identity. Although we are relatively new to the Irish design scene, we have been keen observers for a number of years and have noticed growing activity amongst the various studios, with many pushing now to get their work out there. It’s a very difficult country in which a studio like ours can survive, as there is little manufacturing industry, and although we are very close to the UK and Europe it does often feel quite isolated. But things are definitely getting better and I think the next few years should be very interesting. (Nic) Yes, what we have today in Ireland is largely craft based. The closest thing to an Irish design icon is Celtic Design with the ‘endless knot’ symbol. This is not to say there haven’t been great Designers; it’s just that no clear identity or unified characteristic can be recognized. This is the reality of our history and tradition. We live in a time when design is for people and not geographical areas. 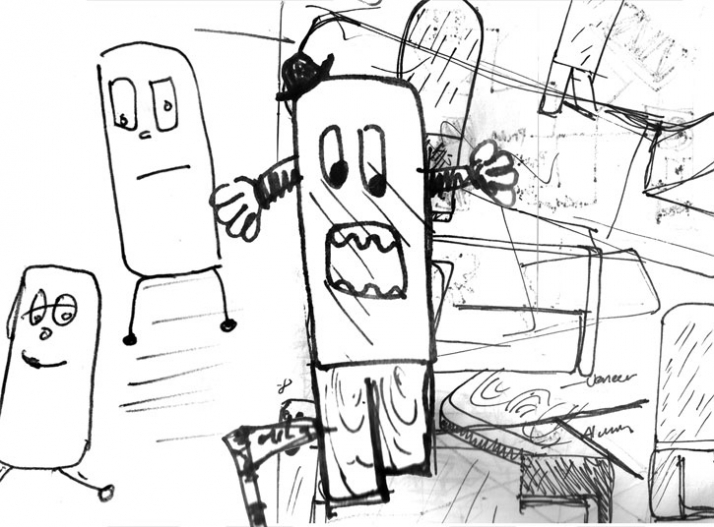 Consequently we believe that the only way one can differentiate an object is through the product’s personality. We are lucky because In Ireland creativity has predominantly been expressed through great poetry, literature, and storytelling and these form a great basis for adding depth to an object. Private jet allows you to escape into your own personal space where everything you need is by your side. The chairs wings act as a surface for your books, cup of coffee or even a laptop. The base mimics that used for model planes and the base plate is styled to represent the tiny fields miles below. What’s the design process that you follow? Do you plan everything together or each one of you has different functions? (Trevor) The process begins when one of us has an idea or even just observes a random quirk in day-to-day life. This spark of inspiration is stripped down to its most basic functional form; we then add only what is required to optimise the core function and to give the object its own individual personality. It’s a two way process, and as I said earlier we are lucky that we have skills and strengths which complement one another, as these allow the process to run very smoothly most of the time. (Nic) This process is obviously not as structured as it sounds. We like to let loose when we design, working outside boundaries and following the journey on which the project takes us. 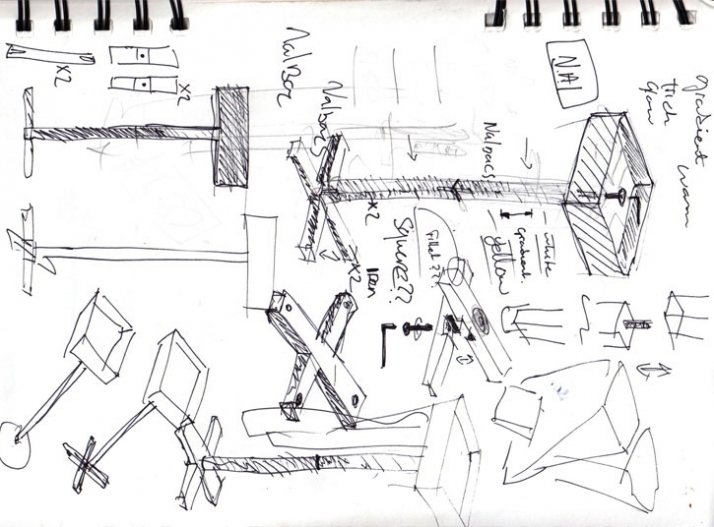 Ideas are thrown around, discussed in minute detail and developed through drawings, prototypes etc. until at the end a product evolves with which we are both happy. We are a small studio so we both involved in the running of the business, and this often takes more time and energy than the actual act of product design. And yes, we are very lucky as we have skills which complement each other and this creates a great balance. Wedge stool is made from two identical wedges of solid walnut, cleverly interlocking to form a multifunctional stool/side table. Tell us something about your dreams and your future projects. (Trevor) Our goal is to continue to design and work with as many producers as we can. Our biggest problem is that we just have too many ideas and it’s frustrating not being able to take many of them further. Obviously our dream is to work with one of the big producers and create a successful product with them. But, as I said, if we can make a living doing what we love that would be enough. (Nic) There is a saying “If you find your dream job you will never work a day again in your life”. We have been doing this for the last two years and it’s what we will be doing for the rest of our lives. There is no better feeling than having designed a product on which someone wants to spend their hard-earned money. It’s very rewarding. 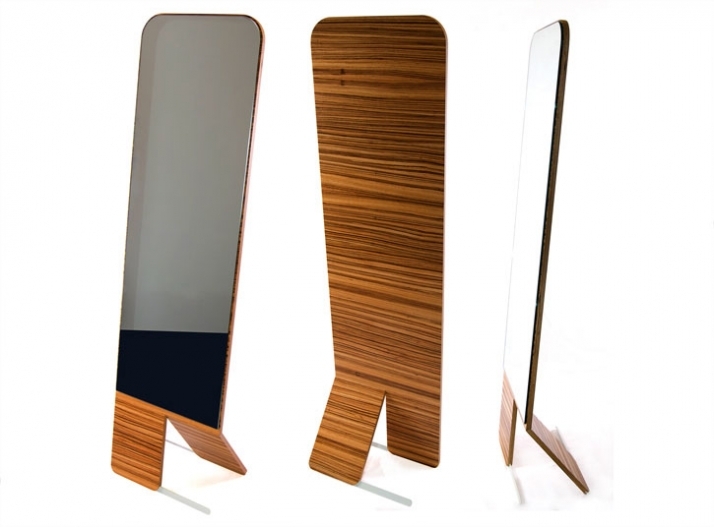 Walking mirror is a freestanding full length mirror. Its anthropomorphic form helps to create a bond with its owner, acting as a friend reflecting an opinion. 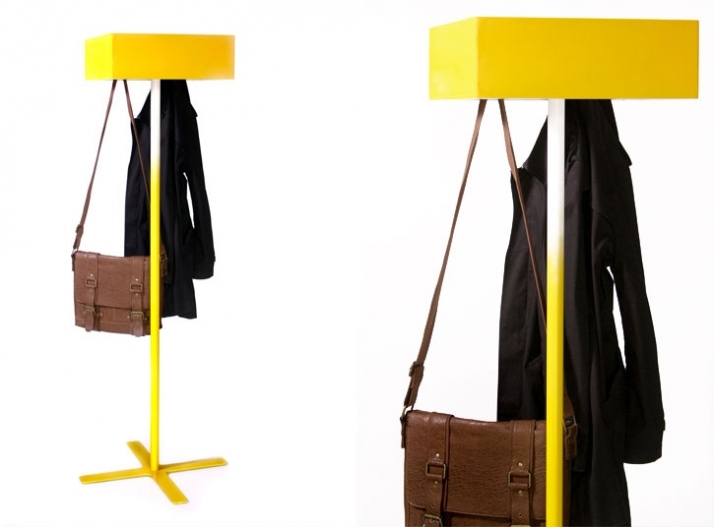 Nal is a coat stand designed to mimic a floor lamp. 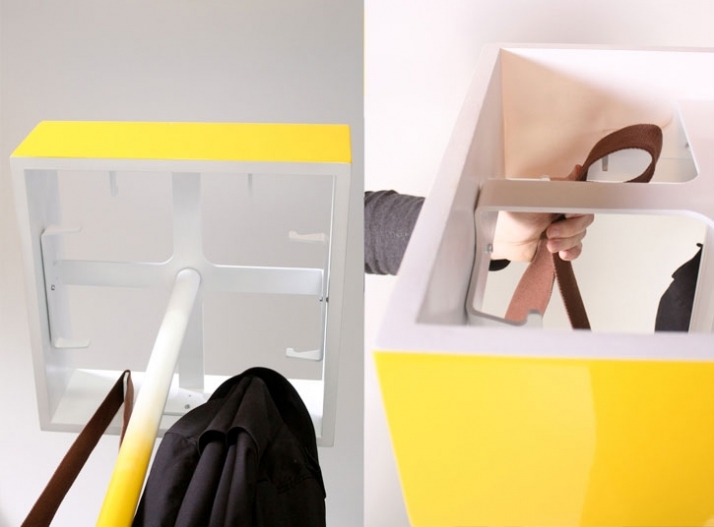 The “shade” hides the clutter of the hangers, and a gradient on the shaft acts to further the impression of light and warmth. 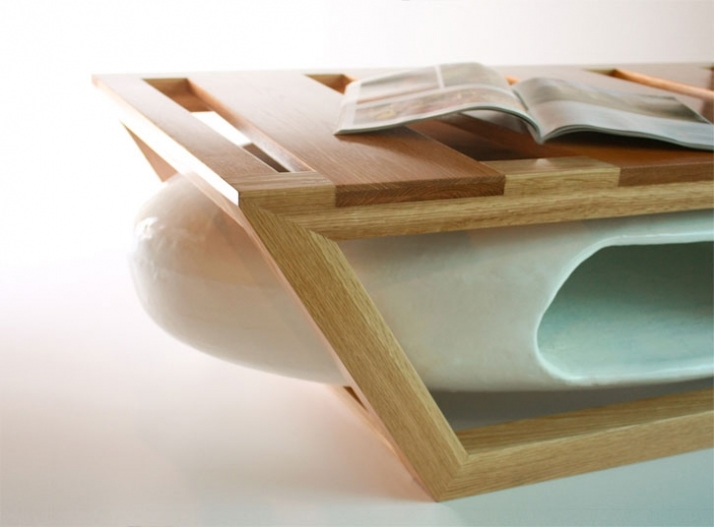 Artifact // Inspired by the rough crates used to protect ancient relics, the Artifact table flips the idea by using high quality Oak for the carefully proportioned crate, and instead of housing an ancient relic, the Artifect protects a large fibreglass cocoon which has been hollowed to provide valuable storage.